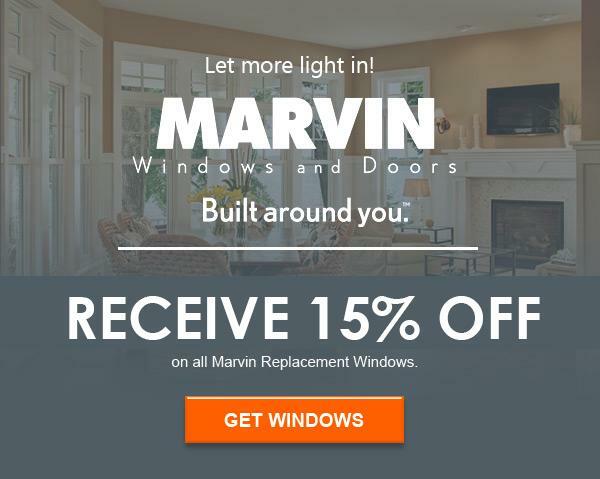 Call today at 877-771-9850 for your Free Estimate and to learn how you can receive 15% off All Marvin Window & Door Installations…The Absolute Best Value in Windows!! *15% off is at time of presentation only and cannot be combined with other offers, existing orders or special financing. Minimum 3 windows.